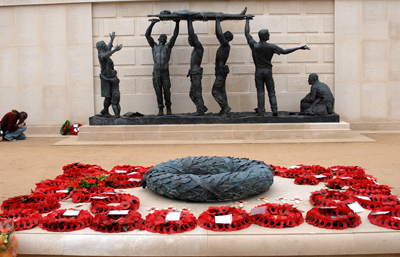 ON the evening of 4 August 2014, 100 years since Britain entered World War One, the National Memorial Arboretum (NMA) in Staffordshire will hold a candlelit vigil on the Armed Forces Memorial to commemorate all who served and sacrificed during the war. This moving service will include prayers, readings, music and poetry and will give visitors a rare opportunity to explore its beautiful grounds in the evening. The Arboretum’s diverse WWI centenary commemorative programme was launched in the spring with the introduction of three special self-led trails to enable visitors of all ages to discover many of the trees and memorials linked to the Great War. Why not visit this summer and find out Staffordshire’s contribution to the Great War with the Staffordshire Great War Trail. Take the family to one of a series of special World War One Weekends designed to be enjoyable yet thought-provoking with a variety of special activities including craft activities and costumed interpreters.